We’ve been having a lightbulb moment recently—in more ways than one! 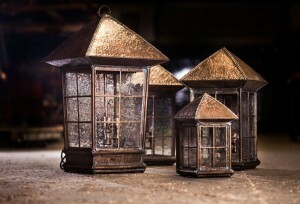 The Heirloom Companies recently launched a site dedicated solely to our custom lighting creations. 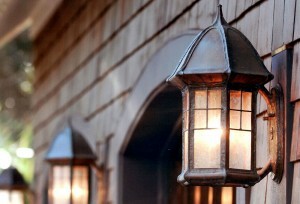 Learn more about our lighting solutions and request an estimate by visiting www.heirloomcustomlights.com. The proper lighting can truly make or break a space’s vibe. Lighting and all it encompasses sets the tone for a space and can be the perfect décor piece. It can be a complimentary fixture or a show-stopping centerpiece. The Heirloom Companies is comprised of three main divisions: Heirloom Stair & Iron, James Mosely Design and Hand Forged Design. The Hand Forged Design division came about as we were seeing an increasing demand in custom home furnishing and fixtures. Hand Forged Design encompasses original projects for products including furniture, lighting, range hoods, fire screens and many more. Many of these hand-forged designs are now staples in The Heirloom Companies’ collection and served as the inspiration for expanded lines that offer multiple products in a particular theme. With significant customer interest in our light options, we have expanded our collection. Hand Forged Designs by The Heirloom Companies features a wide range of pieces: premium fixtures, chandeliers, sconces, pendants and column mounts, among others. The Heirloom team frequently incorporates a number of complementary materials—various woods, metals and glass—to create masterful works for designers, contractors or homeowners. Furthermore, The Heirloom Companies’ artisans recently demonstrated our original “Textured Bronze” technique at Greenville’s popular Artisphere weekend, flames and all! One of our most inventive techniques, “Textured Bronze” is a unique process that welds copper and bronze together to create stunning pieces that are decorative, functional and durable. 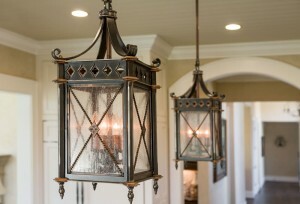 This process has been used on many of our lighting fixtures and continues to be a popular choice amongst our clients. There truly is an artistic element to our craftmanship when working on “Textured Bronze” pieces. Heirloom’s artisan extraordinaire, Joe Cooper, developed the technique. Allow us to illuminate your space with a customized lighting solution hand crafted by The Heirloom Companies. We offer a well-curated collection of interior and exterior chandeliers, sconces, lanterns, pendants and column mounts, designed and made on site. We can brighten your space with an heirloom-quality piece, whether it be a signature centerpiece or a complementary fixture. Our artisans expertly marry innovative processes found only in our workshop with one-of-a-kind designs to produce masterful works for our valued clients and vendor partners across the country. The Heirloom Companies is dedicated to delivering the highest quality, integrity in customer service and guaranteed satisfaction.